Johannesburg - Steinhoff International extended Wednesday’s record plunge in the wake of an accounting scandal and said it planned to raise at lease €1bn from an asset sale to boost liquidity. The global retailer also confirmed that chief financial officer Ben La Grange remains in his position as there’s no evidence he was involved in matters being investigated. Chief executive officer Markus Jooste quit on Tuesday, while La Grange resigned from his other job as head of Steinhoff Africa Retail, which was spun off from the parent in September. The stock fell 29% to R12.46 as of 11:50, extending the two-day drop. 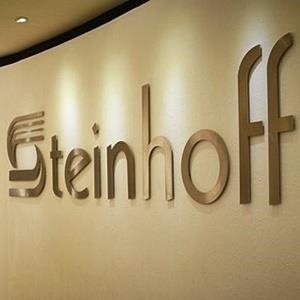 Steinhoff, which employs about 130 000 people worldwide, announced on Wednesday that it was indefinitely delaying the release of its results, citing a criminal and tax investigation in Germany that dates back to 2015. The retailer, which also has a base in Amsterdam and a primary listing in Frankfurt, said in a statement on Thursday that it had received expressions of interest in certain noncore assets. Steinhoff also said its African unit will formally commit to refinancing its long-term liabilities owed to the company, boosting liquidity further. Steinhoff is considering the “validity and recoverability” of certain non-South African assets of the company which amount to about €6bn, it said, without giving further detail.